A kidney stone is a solid piece of material that forms out of substances in the urine and can occur anywhere in the urinary tract, including the kidneys, ureters, bladder, and urethra. There may be one stone or many and they may be large or small. The kidneys are located in the abdomen, on either side of your spine, just above your waist, and function to filter the blood, removing waste products and extra salt and water. The ureters are tubes that carry urine from the kidneys to the bladder. The bladder holds your urine until you urinate, and the urethra is the tube that drains urine from the bladder. Kidney stones are most common in middle-aged people and slightly more common in men than in women. 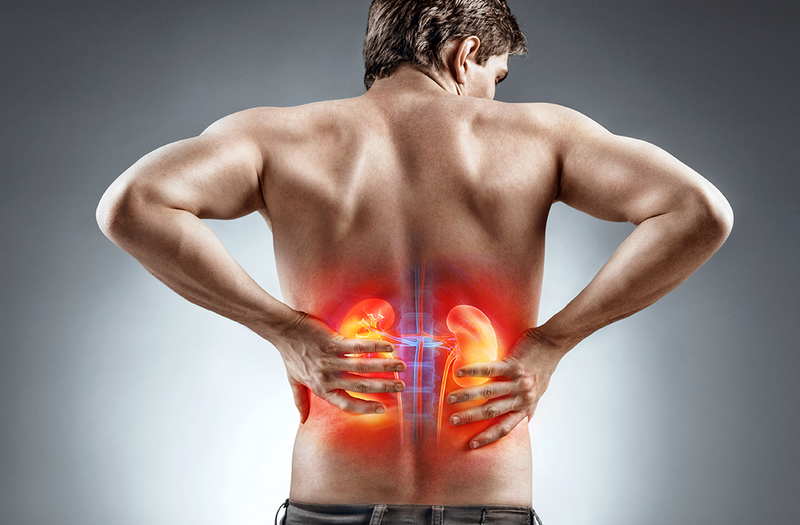 People who get kidney stones often get them again. There are several types of kidney stones, but calcium stones are most common. They occur when there is too much calcium in the urine because the kidneys don't work properly or too much calcium is absorbed from the stomach and intestines. Some calcium stones are caused by too much of a chemical called oxalate that is found in many foods including spinach, rhubarb, leafy vegetables, coffee, chocolate, and tomatoes. Oxalate binds easily with calcium to form a stone. The risk of forming calcium stones increases if you have certain medical conditions such as an overactive parathyroid gland (a gland in that neck that regulates calcium levels in the body) or inflammatory bowel disease. Another type of kidney stone occurs when you have too much uric acid in your urine. Uric acid stones might result if you have gout, a type of arthritis caused by high uric acid levels in the blood, or you become dehydrated, for example, during strenuous exercise on a hot day or during an illness. Struvite stones, also called infection stones, may form in urine that is infected with bacteria. A cystine stone is a rare type of kidney stone that occurs during childhood if you have the genetic disease cystinuria. Often kidney stones do not cause any symptoms, and are only found during testing for other problems. Sometimes the first symptoms occur when gravel-like stones are passed in the urine. Sometimes kidney stones cause a blockage which causes a urinary tract infection, with symptoms including fever, chills, sweats, and pain when you urinate. Intravenous pyelogram (IVP), which is a special type of X-ray done after a dye is injected. Treatment depends on the size and location of the stone(s), whether one or more stones are blocking urine flow out of the kidney, and whether there are signs of infection. 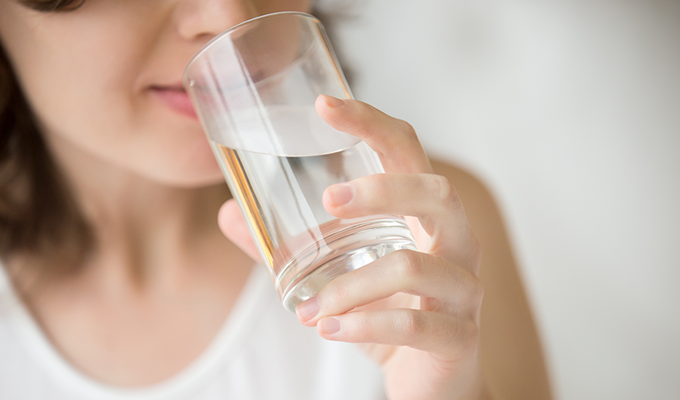 You may be treated at home by drinking lots of liquids and taking pain medicine. Small kidney stones usually pass on their own. Your health-care provider may ask you to strain all urine until the stone is passed. When the stone is caught, it can then be analyzed with lab tests to determine what kind of stone it is. You may sometimes be prescribed medicine that will help you pass stones or prevent more stones from developing. Surgery is only required to remove a large stone. Kidney stones may be broken into small pieces with noninvasive lithotripsy procedures using shock waves, ultrasound, or a laser. The smaller fragments may then be able to pass in the urine. Stones in the bladder that need to be removed with surgery may be broken up with lithotripsy first, then removed, under anesthesia, through a cystoscope. If the stone is in the ureter or kidney, it may be removed through a thin, lighted, usually flexible tube called a ureteroscope inserted through the urethral opening into the urinary tract. Usually you have pain off and on for several hours up to one or two days. However, a stone may take days or even weeks to pass. Sometimes, weekly X-rays will be taken to track the progress of the stone as it moves down the urinary tract. If a stone has not passed after a month or so, it may need to be surgically removed. Follow your health-care provider's instructions. Take the pain medicine as prescribed by your health-care provider. Follow your health-care provider's recommended treatment for any health problems that may be causing kidney stones. Make sure you drink plenty of fluids daily and your urine is almost clear in colour. Follow any changes in your diet recommended by your provider after the stone has been tested in the lab. Your health-care provider may prescribe medicine to help prevent more stones. This column was originally published in Wave in May/June 2013 and updated in May/June 2018. The information for this column is provided by Health Links - Info Santé. It is intended to be informative and educational and is not a replacement for professional medical evaluation, advice, diagnosis or treatment by a health-care professional. You can access health information from a registered nurse 24 hours a day, seven days a week by calling Health Links - Info Santé. Call 788-8200 or toll-free 1-888-315-9257.